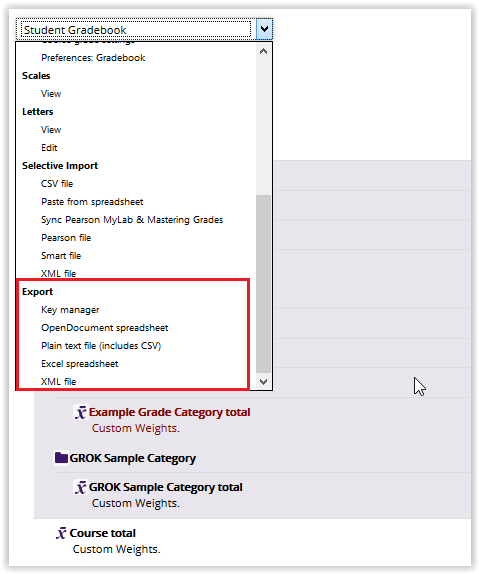 The Moodle Gradebook can be exported in the following formats: CSV File, Key Manager, OpenDocument Spreadsheet, Plain Text File, Excel Spreadsheet, & XML File. 1. 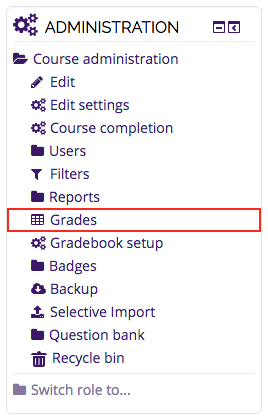 Log into Moodle & select the course from which you wish to export grades. 2. Find the Administration Block & click Grades. 3. Click the Gradebook drop-down box at the top & scroll down to the Export section. 4. Select an option from under the Export section. 5. Optional: Check Include feedback in export option to include Grade Feedback from the Moodle Gradebook in the exported file. 6. Check the FERPA Requirements box stating that you Understand that the Data is FERPA Protected. 8. Select Open with & click OK. Microsoft Excel is the default.